Mr. President. That's something America might be calling Kanye West in five years. It's no secret that Kanye West is running for president, as he announced during his Video Vanguard Award speech at the 2015 MTV Video Music Awards. To be clear, this isn't a joke and the rapper is very serious about becoming the next leader of our nation. During an interview with Vanity Fair, West talked about running for president and even admitted he has a lot of research and learning to do before starting a campaign. I agree with him, because there's no doubt Kanye West has a lot to learn about becoming president before he can even think about adding POTUS to his resume. As he told VF, "I sit in clubs and I’m like, Wow, I’ve got five years before I go and run for office and I’ve got a lot of research to do, I’ve got a lot of growing up to do. My dad has two masters degrees. My mom has a PhD, she used to work at Operation PUSH." As someone who is known in the world as an entertainer, a rapper, that guy who interrupted Taylor Swift, and the man who is married to Kim Kardashian, I'd say West has a long road ahead of him when it comes to becoming an expert in the world of politics and leadership. 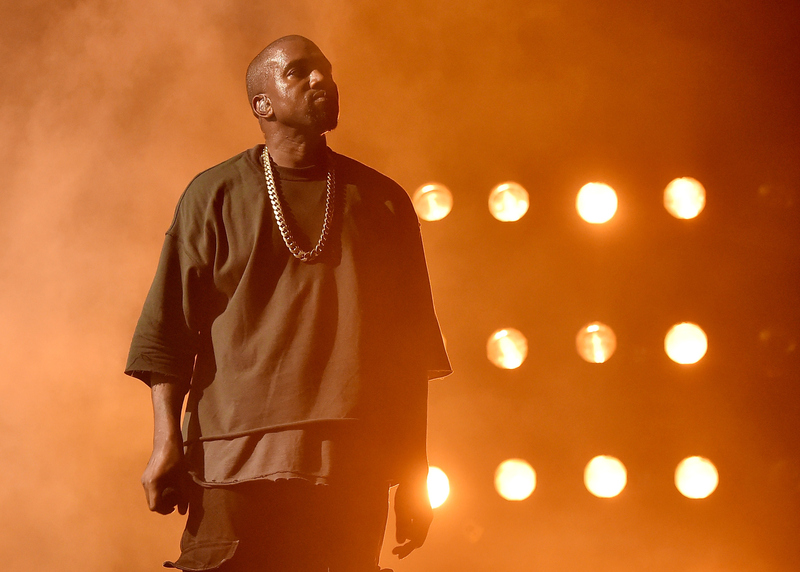 With that said, here eight things Kanye West needs to learn before he runs for president in 2020. First things first: the ego needs to go, Kanye. You can't be selfish, self-centered, and do whatever you want, because you think you are the best. As a leader of a nation, that person needs to embody humility. Anyone worthy of presidency should be able to lower themselves to relate to others have the utmost respect for individuals. While chatting with VF, West came right out and said this: "I hate politics. I’m not a politician at all." Um, if you're going to be president, you need to love politics or you are going to be miserable and horrible at your job. However, West did say this, which kind of makes up for the previous statement, "I care about the truth and I just care about human beings. I just want everyone to win, that’s all I can say, and I think we can..."
There's no doubt Kanye can give passionate speeches, but half the time they don't make much sense — at least I don't think so. Anyway, he better find a really great speech writer or take some writing courses, because he's going to be giving a lot speeches during campaigning. Don't get me wrong, I'm not the type of person to tell someone to smile. Hey, sometimes you just don't feel like it and if you don't want to turn that frown upside down, you shouldn't have to. However, you can't walk around looking pissed off at the world if you're president, which is sometimes how West looks. I mean, if you're the leader of a country, you need to be warm and welcoming, which is exactly what a smile is for. I'm pretty sure West does this already, but just to be sure, he needs to avoid all the unnecessary drama surrounding that family. Oh, and if he doesn't appear on their five million reality shows (like he kind of already does), that'd be a good idea, too. This comes with the territory of being a politician. Let's face it, most political leaders say or do something stupid at one point in time. However, when it comes to West, well, he does it on more than one occasion. So, he really needs to think before he speaks. In keeping with what I previously mentioned, Kanye needs to learn how to speak to the country as a whole and not just his fans or a single group of individuals. Most people, especially those of older generations, don't know who West is — nor do they care. So, by learning how to communicate with everyone, West could create a great campaign. I have to stay creative. The whole point is to have someone [in office] that’s creative, that’s around amazing creatives. This is my theory: I think the world can be helped through design, so it’s very important that I stay around creative, forward thinkers. It’s very important that I continue to design, to be in practice of trying to make the best decisions possible.